8 Tips On Swim Training - For Absolute Beginners ~ Feel For The Water! Advice & Tips to Improve Your Swimming. First up, Swim Smooth Coach David Knight is in the running for Coach Of The Year in the 220 Magazine Triathlon Awards. Help him out by voting here or by emailing Debbie Graham naming David as your Coach Of The Year! 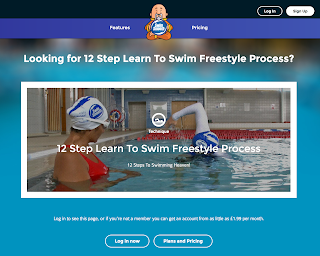 If you're quite new to swimming freestyle, the chances are that you've been working on the basics of freestyle technique such as your breathing technique, kicking correctly, rotation and feel for the water. But let's say you can now swim some laps of the pool, what next to keep improving? 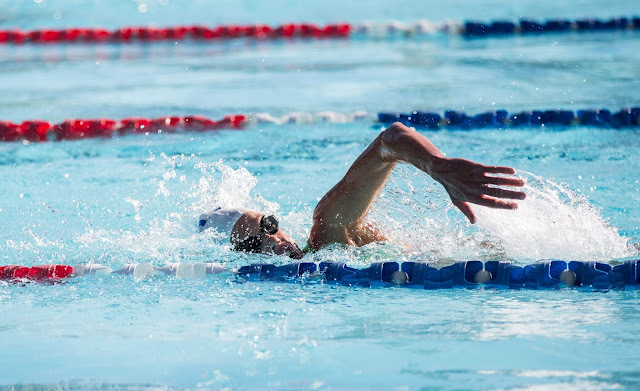 Of course you want to keep developing and improving your stroke but very quickly the swim fitness side of things also becomes a priority to work on. Of course technique is important but you need swim specific fitness to maintain your stroke technique over distance. If you come from a background in a land based sport you'll know that it doesn't really matter how fit you are in that sport, very little carries over into swimming. So different are the muscles and energy systems used for swimming that super-fit land based athletes can be gasping for air after just 60 seconds of swimming. So the bad news is that you will almost certainly be coming into swimming at a low level of swim fitness but the good news is that by building up the training side of things you can very quickly make some large improvements to your comfort levels, stamina and speed in the water. It's tempting to swim at a strong pace but stop every 50 or 100m for rest. Try not to do this (even some experienced swimmers fall into this trap). Instead challenge yourself to go a little further every time you swim and build things up to swimming longer distances such as 200, 400 and 800m without stopping. The key here is not to set off too fast and blow-up (see next tip) but swim things out smoothly at a moderate pace over those longer distances. This will work on your low level or 'base' swim fitness which you are likely to be sorely lacking - by working on this you'll be surprised how much easier continuous swimming can become! You can use it in a few different ways but the one we're going to talk about here is known as "lap interval mode" - mode 1 on the device. Say you want to swim at 2 mins per 100m in a 25m pool (that's 30 seconds per length) you just program the Tempo Trainer Pro to beep once every 30 seconds. Start swimming when it beeps and swim at a pace so that you turn and push off for each length every time it beeps. The first thing you'll find is how you always start too fast (get ahead of the beep) and then slow down so that the beep catches you up. Learn to pace things out better on the first few lengths and you'll instantly be able to swim further with more comfort. Over time as your fitness improves you can drop your time per length slightly to increase the pace - we call this "tweaking" and we have some clever ways of doing this when you get into Swim Smooth's full blown training methods down the line. When you start swimming freestyle there's a lot to think about, in fact it can be quite overwhelming. Make sure you only think about one thing at a time and keep things really simple - especially as you are swimming further and building up your distances. Remember - focus on only one thing at a time! 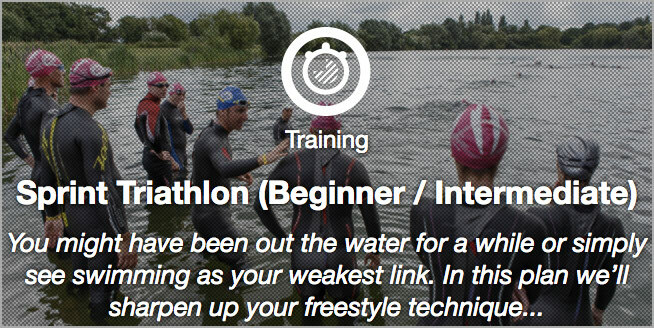 As you're new to freestyle your stroke is a little bit like a blank canvas without any bad habits in place. A great way to keep your stroke symmetrical and nicely aligned in the water is to breathe bilaterally - breathing every 3 strokes to both sides in turn. Now the key to bilateral breathing is to make sure that you are exhaling smoothly into the water which relaxes you and means that when you to rotate to breathe you only have to inhale, not exhale and inhale in the short window available. So to bring those two ideas together (breathing ever 3 and exhaling) try repeating the following Mantra when you swim: "breathe...bubble...bubble...breathe... etc" Say bubble into the water (forcing you to exhale) on a non-breathing stroke and then breathe on the third stroke. Easy! If you've been going along for a few weeks seemingly without improving then don't panic - oftentimes fitness improvements aren't a progressive slope upwards sessions by session, they come along in steps. You might not improve for a couple of weeks but then will get in the pool one day and suddenly feel stronger from the get-go! 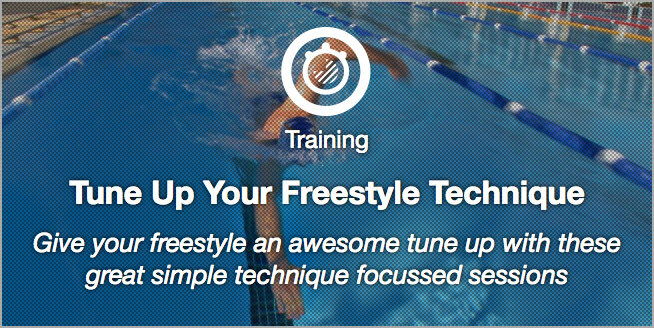 Doing some swimming and drills with tools such as fins, paddles and pull buoys is a nice way to work on your stroke technique and create some variety in your freestyle swimming. 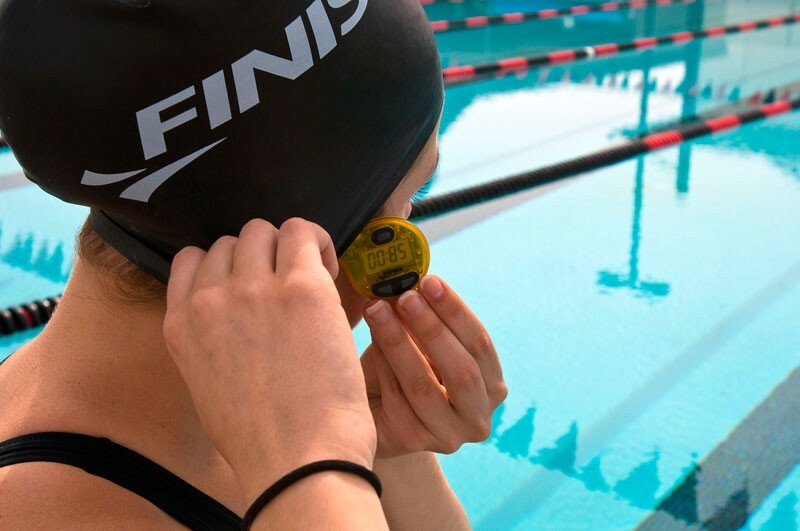 Use each with a specific purpose to work on a key aspect of your swimming (Swim Smooth we recommend our Swim Smooth Guru to do that). However, be wary of becoming addicted to them and start swimming most of your swimming distance using one swimming tool or another. Generally speaking they are best used for shorter technique swims whilst you swim without gadgets (straight swimming) for your longer fitness swims. For longer swims, swim straight (no toys!). A very simple one this. If you can, try and swim 3 times a week or more. When it comes to fitness improvements, there's a big difference between doing something twice a week and three times. Consistently swimming three times a week can take your swimming a long way. Wish you had someone or something to take you through all this step by step, session by session? I like that you drop some hints to noobs like me from time to time. I've been falling into that very trap of not building up distance, it's way too tempting to start with a pace that ends up being unsustainable. My problem right now is that the rhythm feels off when I slow down, so while I tend to be a bit skeptical towards gadgets as "easy fixes" I might follow your advice and get some sort of tempo trainer. Thanks for the tips. As a returning swimmer I'm comfortable in the water but my technique is poor and working on the breathing drills etc to improve my front crawl but I'm struggling to up the distance of continuous swimming. Just wondering to improve my swimming fitness yet get a bit of a recovery would swimming backstroke be of benefit, (can't swim breast stroke) rather than having a rest say at the end of 4 lengths?